Is the emerging market on your radar this year? Have you been thinking about expanding your business portfolio? Have you considered doing business in the Caribbean? If you answered yes to at least one of these questions, you might be looking to grow your emerging portfolio, but perhaps you don’t have any idea what to fund or where to go. May I suggest you look at Haiti? Haiti’s economic landscape is calling to those with long-term visions and who are looking beyond cheap exploitation. Haiti offers a wealth of opportunities to create solid businesses while having an impact. You can be part of that investment conversation, but you will need to look past mainstream media’s carefully crafted narrative portraying Haiti as helpless and in need of being saved. The people who are finding lucrative business deals in Haiti don’t buy the narratives, and neither should you. Moreover, they didn’t all start out with a million dollars. Most knew how to attract the right business partners to seize on the right business opportunity. There is, however, an emerging group of entrepreneurs tapping into Haiti’s unique know-how. Can you handle the right kind of risks to get the right kind of rewards? I’ve shared this before, and it’s worth repeating here: starting a business in Haiti or investing in a Haitian business is more effective and less risky than the pervasive aid handouts that have been given to Haiti over the past decades. I’ve also come to the conclusion that the large non-profit organizations and the non-governmental entities operating in Haiti, collecting millions of dollars, are useless, bloated, ineffective. They are in desperate need of some serious competition, and its time you take the lead in providing that competitive edge in creating individual businesses in Haiti. Others of us believe that the more people who rise from the ashes at the bottom of society, the better off it is for that society at large. There is China, for example. Regardless of what your personal feelings are about the country, it has managed to come from decades of economic oppression to leading on the economic global stage. Though this post is not about China, the country can serve as an example of what it looks like getting millions out of poverty. Haiti is a global brand, though not for all the right reasons, but it is on the map. We are working hard to change the brand’s image. Part of this new brand development must start with the products coming out of Haiti and the unique business potential. The enterprises I plan to share below are not new in Haiti. They just don’t yet have market visibility and funding support. The founders have been quietly building and growing their organizations for more than ten years. In fact, Diallo and Daniel, whom I mentioned above, have spent time in Haiti recently to write about these companies. You can read “The Emergence of Social Entrepreneurship in Haiti”, in their Caribbean study here. If investors take a calculated risk on the growth of these existing businesses, they can reap the rewards. Another thing I like about the three enterprises below are some of the preliminary success indicators they’ve already earned. These include: A base clientele, a show of consistent growth, and an open and supportive business community—in spite of limited resources and financial hardships. Along these lines, let’s introduce you to the three enterprises. Established in 1999 as an off-shoot of the Veterimed (Lèt Agogo’s parent non-profit division), the company has a national network. They started with one dairy and as of December 2016, they have thirty-five. Lèt Agogo works with local farmers to treat and sell milk for a profit in various sites across Haiti. The milk comes in four flavors: strawberry, vanilla, orange and natural. Lèt Agogo was awarded first prize as the most innovative social project in Latin America and the Caribbean by ECLAC and the Kellogg Foundation. Michel Chancy, the brain behind Lèt Agogo hopes to grow the brand from 35 to 100 dairies. You can help grow that number of small Lèt Agogo business dairies in the next two years. I reached out to Mr. Chancy to ask him where he sees the opportunities to expand. He shared that in the first quarter of 2017, the brand is looking to turn the company into a franchise, where individual investors or owners can own a dairy and turn it into a profitable business. What you need to know: Lèt Agogo has a Facebook page, and there is information on the Veterimed non-profit website. The company’s largest client is the Haitian government, which provides milk to a number of schools. In addition, Veterimed provides training, such as technical and managerial support to farmers and potential business owners. You can reach Mr. Chancy directly from the email he provided me: pwomoletagogo@yahoo.fr. The National Association of Fruits Transformers was built in 2002. The company serves as an economic development forum for the agro-industrial sector in Haiti to create wealth. The company provides technical and managerial support and micro-loans to small business owners who want to commercialize one of Haiti’s prized markets—its fruits. The association works with a strong belief in training and education. ANATRAF has been training 30 entrepreneurs in Haiti’s ten departments for the last few years. The association is known across the country as the unit that’s helping small businesses to create a process to commercialize fruits in Haiti. According to ANATRAF’s website, the association has 58 small enterprises that work primarily in selling fruits or in the production of fruit products, and they are looking to expand. The association needs to grow its partnerships. In addition to looking to expand, ANATRAF is looking for buyers for their existing products. Product marketing is another opportunity. All the small producers have good products, but they need help to market them. ANATRAF currently markets its fruit products under the name of Goutana. Although the products are great and are certified in Haiti, the brand has no recognition beyond the local communities it serves. What you need to know: The organization runs workshops for new members to support their interest in starting a fruit-related business. To become a member, you must have the following: be a legal entity, be involved in community development, and have a passion to develop and grow an organic fruit business. You’ll also need one year in fruit processing with the ability to pay $1,000 Haitian gourdes (15.00 US dollars), in admission fees and thereafter a similar annual fee. The company has a Facebook page and a website that you can learn more by clicking here. Some business foundations already exist in Haiti, but the people with resources and the initiative don’t know about these opportunities. It’s one reason why I love to write about these companies. KNFP is a financial lending organization that provides micro credit to the small rural businesses throughout Haiti. The country’s business environment suffers from what the business world refers to as a lack of economy of scale. In addition to supporting the small rural businesses, the company created a unit that is known as the legal arm of Society Financiere de Developpement (SFD). KNFP provides financial support, advocacy, and research development to community banks and several peasant associations. 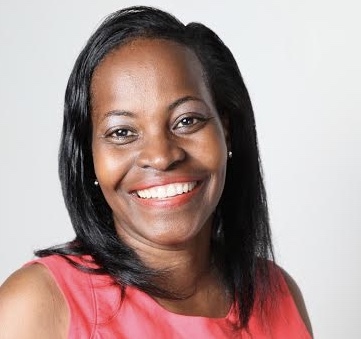 Mrs. Francine Celestin, who is the President of the small financial institution, is working hard to market the organization nationally and to grow its partnership base. The organization has a website that you can check here. At the moment, a lot of the support for this organization is coming from USAID and IMF. Unfortunately, USAID and IMF will never be able to solve Haiti’s economic development woes. Those in the Haitian diaspora who are looking to invest as an alternative to sending money home and social investors who are serious about development should know about these enterprises. These dynamic organizations have a lot of potential, and they could use individual partnerships and investors to work directly with the rural small businesses. I think there is an opportunity here to create small venture funds to expand on the capacity of these small businesses. This is where the diaspora and the business partners they trust can bypass the large aid bureaucracy and get involved directly in developing the country through small businesses. So, there you have it. If you are looking to grow your investment portfolio, and you are not risk-averse, this post is a starting point for you to do more research, especially if you’re indeed looking to explore opportunities in the Caribbean. And the best part about these three opportunities? You don’t even need to reinvent the wheel and start a business from the ground up. You can build and improve on what’s already in existence and turn the ideas into profitable businesses. Are you planning to explore opportunities in the Caribbean this year? Do any of the businesses above resonate with you? I’d love to hear your thoughts. Leave me your comments below. « Is Silicon Valley’s New Story Startup Leading Haiti’s Affordable Home Market?